Just wanted to check in with you about this exciting show coming up very soon! 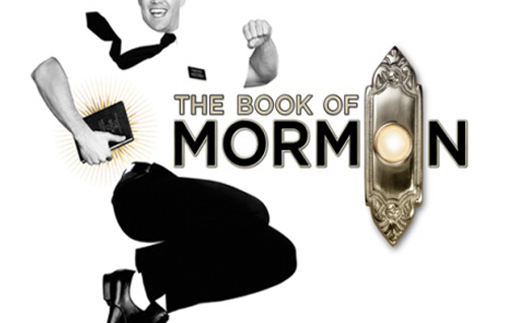 First, this week I get to check out THE BOOK OF MORMON as it hits Dayton’s Schuster Center! The show opens on Tuesday 9/18 and runs through Sunday 8/23. I’ll be there on Wednesday. For those of you living under a rock, this show is by the creators of South Park and is a mega-hit on Broadway and across the country. Tickets are available here. (Be sure to click on the correct link; scalpers are charging up to 3x the retail price!) Here’s a link to information about the touring cast we’ll see this week! Don’t forget to check out Know Theatre’s HUNDRED DAYS, The Carnegie’s COMPANY, and the Warsaw Federal Incline’s “9 to 5” all playing in Cincinnati. Stayed tuned for another update about all the great September openings in the next several days! As always, visit Rob Bucher’s comprehensive site for everything you need to know about all the shows in the area – and I’ll see you at the theatre!